State Department: U.S. diplomat medical incidents "unprecedented"
The State Department called incidents seriously affecting the health of U.S. and Canadian diplomats "unprecedented" Wednesday afternoon. According to medical records reviewed exclusively by CBS News, diplomats working in Havana were diagnosed with conditions as serious as mild traumatic brain injury, and with likely damage to the central nervous system. A U.S. doctor gave the diagnoses, and warned in the medical records about the health risks of future exposures. The State Department said "incidents" began affecting the health of diplomats in Cuba beginning in late 2016. They complained of symptoms including hearing loss, nausea, headaches and balance disorders. The State Department said that when the diplomats' symptoms became apparent, a clear pattern had developed. The diplomats have since undergone a series of medical tests and evaluations. Medical professionals in Cuba are working with those who have been affected by the incidents, according to the State Department. The department would not confirm if a medical officer is based at Cuban embassy, but said that some diplomats have been medically evacuated to Miami. The State Department said they have not seen this type of activity anywhere, adding that the incidents are of "great concern." The department declined to comment on the exact medical condition or number of diplomats affected. A source familiar with the matter said that officials are investigating whether the diplomats were the target of sonic attacks directed at their homes, ordered by the Cuban government. 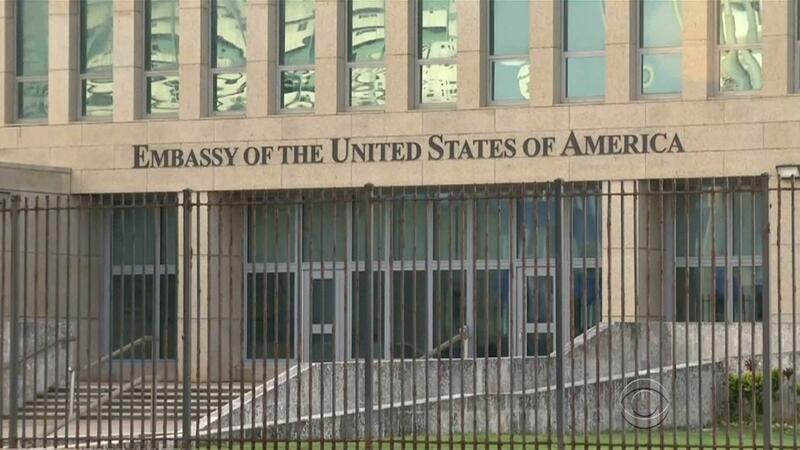 The source also added that there are continued reports of more attacks affecting U.S. embassy workers in Cuba. The State Department has yet to identify a definitive source of the attacks and Cuba has denied any involvement. The department said Wednesday that the United States has had numerous conversations with the Cuban government, which they described as "responsive." "We remain in regular contact with the Cuban government to emphasize that we take these incidents very seriously and to resolve this matter in a satisfactory manner," a State Department spokesperson for Western Hemisphere Affairs told CBS News. The incidents have prompted an ongoing investigation across different agencies, according to the department, and a number of diplomats have cut short their assignments in Cuba because of the attacks. At the end of May, the U.S. also expelled two Cuban embassy officials in Washington.